For those who are looking to enhance their smile, Dr. Andrew Propes is happy to offer teeth whitening in Merced. The teeth whitening services at our Merced office are designed to remove discoloring from years of stains that have built up on your teeth. Our take-home and chair-side teeth whitening treatments can give you back the fresh, white smile that you’ve been missing. We provide several options for teeth whitening and will make recommendations on a case by case basis. 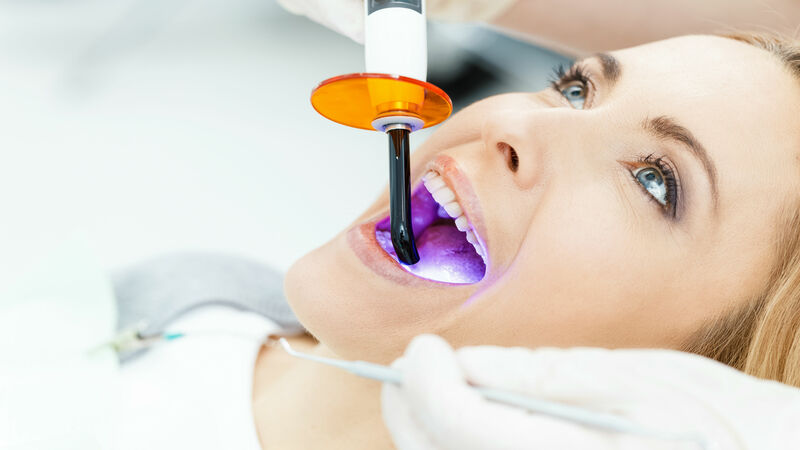 Because having whiter teeth has now become the number one aesthetic concern of most patients, there are a number of ways to whiten teeth. The most popular method is using a home tooth whitening system that will whiten teeth dramatically. Since tooth whitening only works on natural tooth enamel, it is important to evaluate replacement of any old fillings, crowns, etc. Replacement of any restorations will be done after whitening so they will match the lighter shadeof the whitened teeth. At your second appointment, you will try on the trays for proper fit, and adjustments will be made if necessary. The trays are worn with special whitening solution either twice a day for 30 minutes or overnight for a couple of weeks depending on the degree of staining and desired level of whitening. It is normal to experience tooth sensitivity during the time you are whitening your teeth, but it will subside shortly after you have stopped whitening. Over the counter toothpastes formulated for sensitive teeth help ease this sensitivity, as does application of topical fluoride gel which can be perscribed by Dr. Propes.